Happy Thanksgiving! 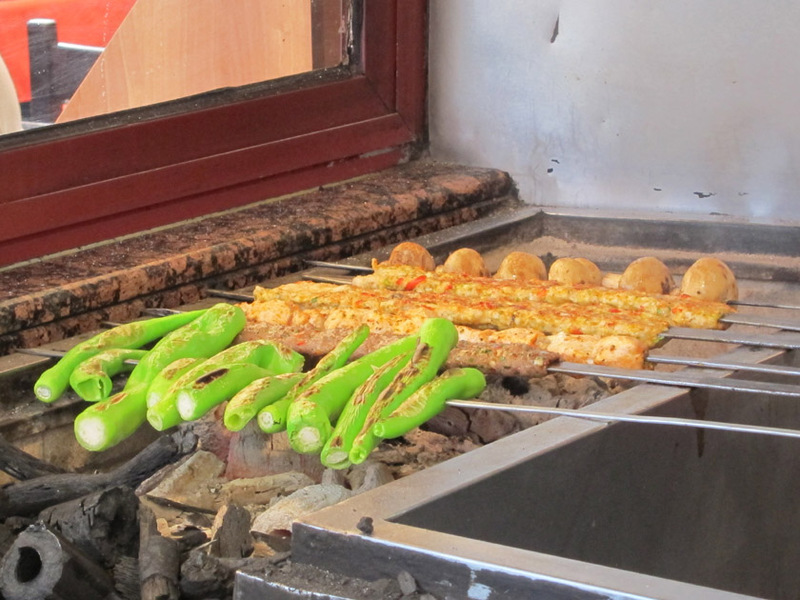 While everyone in America is feasting on Turkey, I thought I show you how I feasted in Turkey. Now enough with the puns, onto the food! 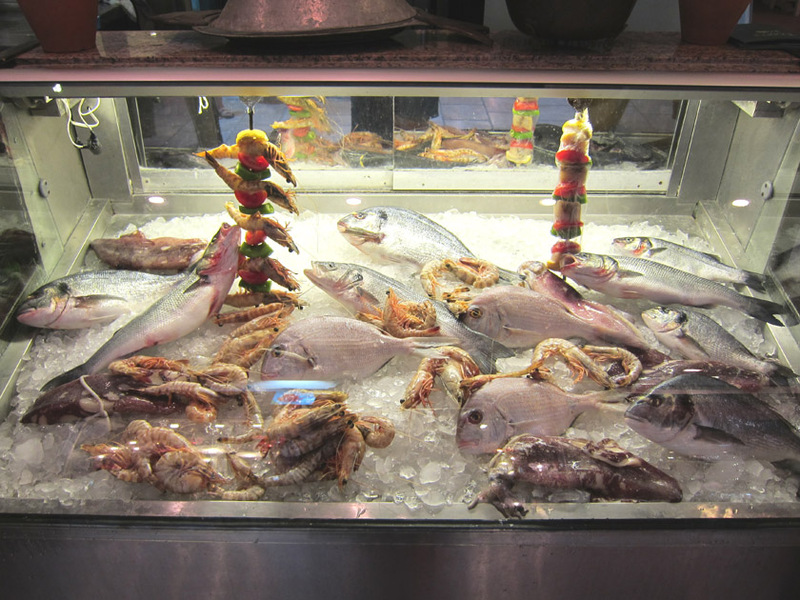 I have to say, overall we ate very well in Turkey! I love that style of cooking and was pleasantly surprised whenever I ordered something that I didn’t quite understand. 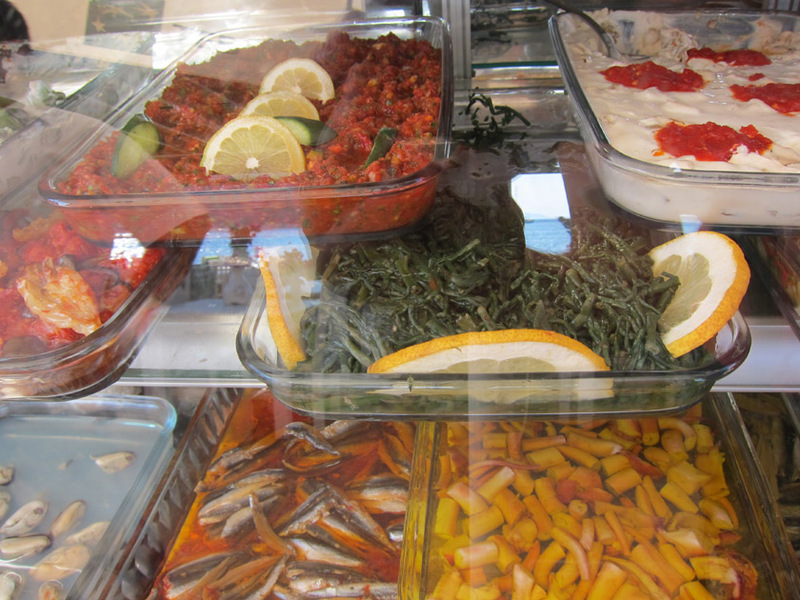 I’ve already written about fish in Istanbul, sour plums and beautiful stuffed mussels but that’s only the tip of the culinary iceberg! 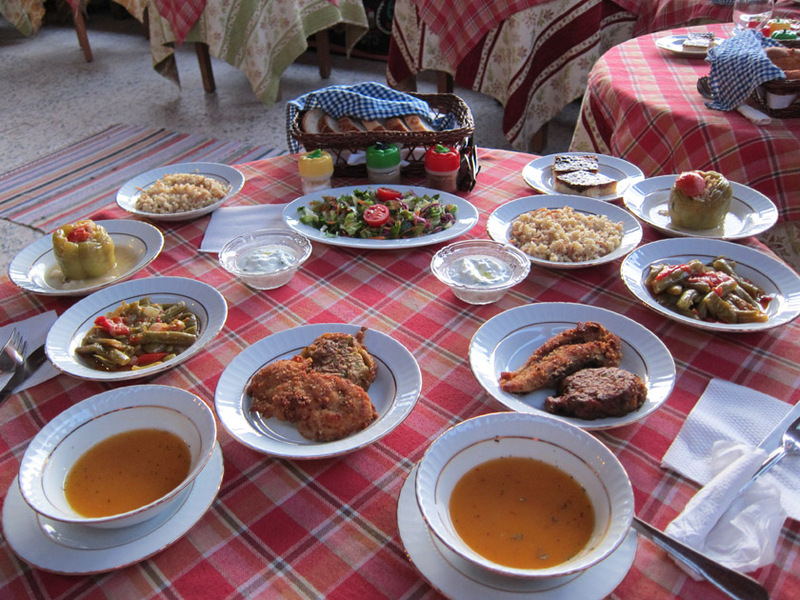 Our pension in Ephesus offered an evening meal which we did one nights we were there. Here’s the full dinner spread: lemony lentil soup, zucchini fritter, fried chicken, stewed green beans, stuffed pepper, spiced yogurt dip, rice, salad, bread and a milk custard desert! 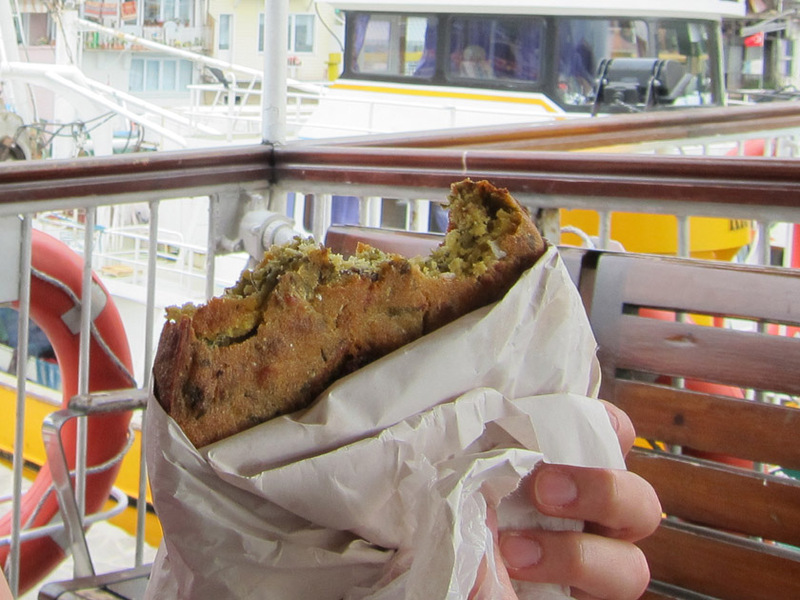 I could only eat this much because I’d spent literally 8 hours walking around the ancient ruins of Ephesus. 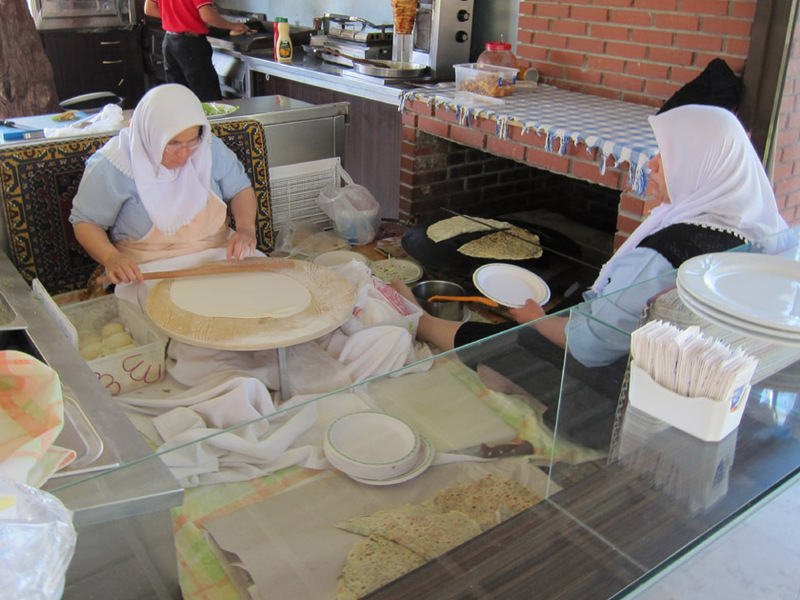 Turkish Gözleme are a cross between a quesadilla and a crepe and can be filled with meat, cheese and/or spinach. Somehow they always seemed to be prepared by an older lady sitting by a griddle. 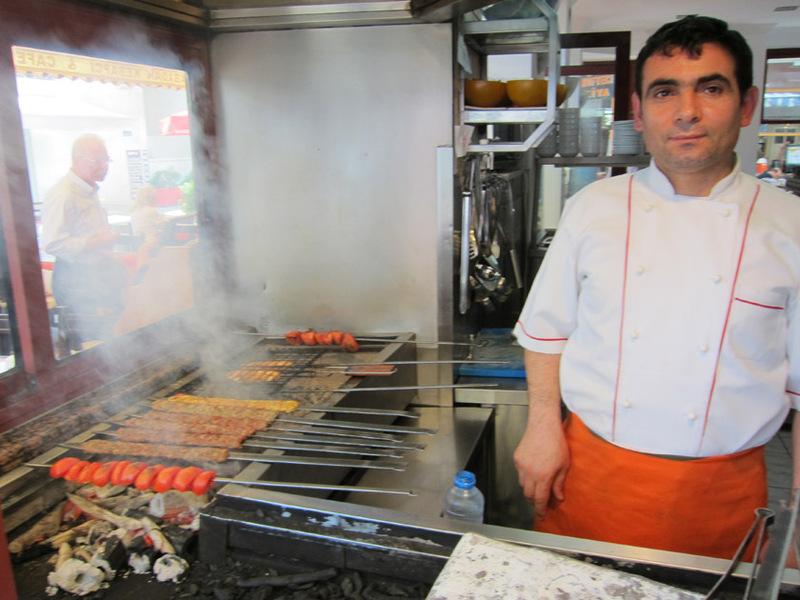 Thanks to a tip I’d seen online while preparing for our trip, we went to the Pasazade Restaurant in the Sultanahmet area of Istanbul. 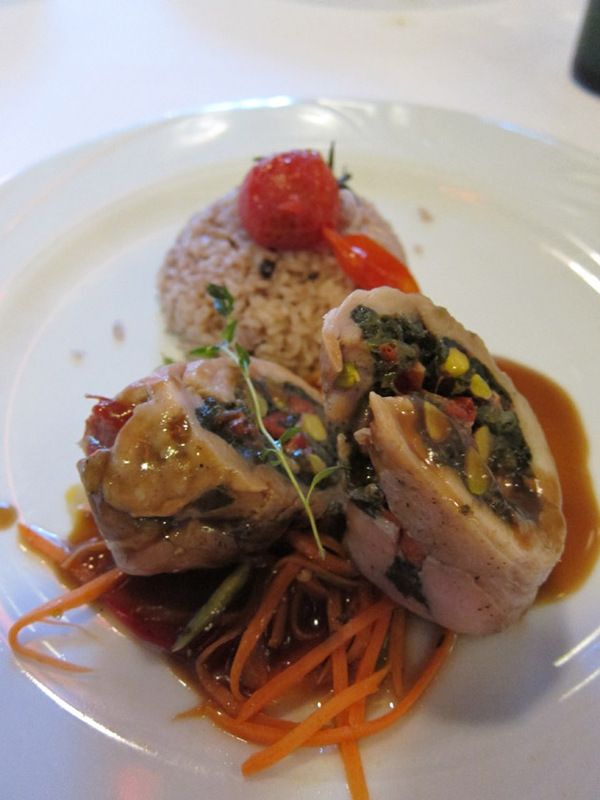 The food is based on historic Ottoman palace recipes. The dishes were amazing and the service was impeccable. 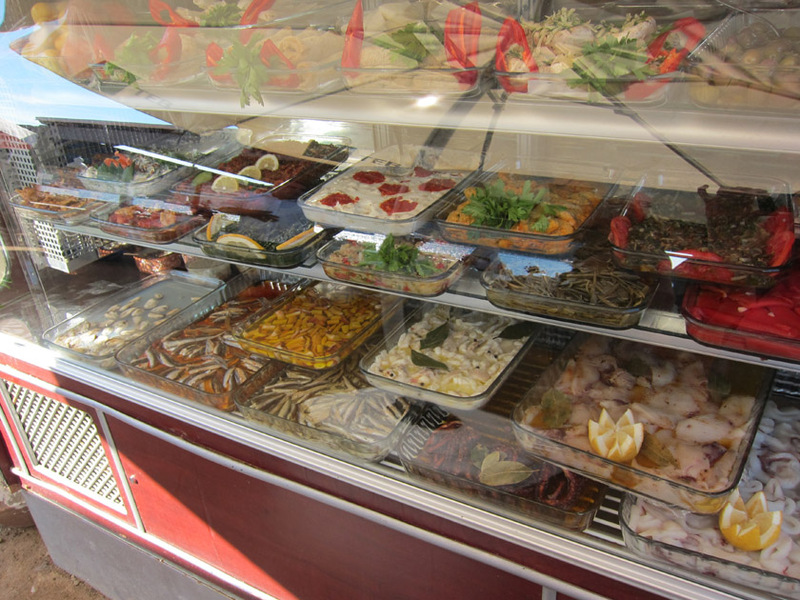 At one point, we started chatting with the manager who stressed that with this restaurant they were trying to produce good, authentic food in a neighborhood that tends to be filled with average quality tourist spots. I didn’t photograph breakfast, but I loved starting the day with tomatoes, cheese and simit, a seseme seed bread. Of course my favorite meal was a selection of meze or, given my level of Turkish, a “point and eat” meal. This did mean we once had stewed liver in Bergama, but while surprising, that was good too. Thanks! An authentic, easy to follow food blog is worth a lot. Good luck recreating the recipes at home. Ooh, appetizing photos, Christina! From the lentil soup to the Turkish crepes and dazzling meze selection, Turkey looks a culinary destination I’d love to dig into.